2019 is still in its early stages, and if your New Year’s resolution is to get in better shape, then Enther is here to help. With 20 Enther Meal Prep Containers, you’ll be able to plan your diet accordingly and store your daily meals in a safe and secure bento box. For just $20, this 20-pack of Enther Meal Prep Containers is a must-have product for anyone on the move. 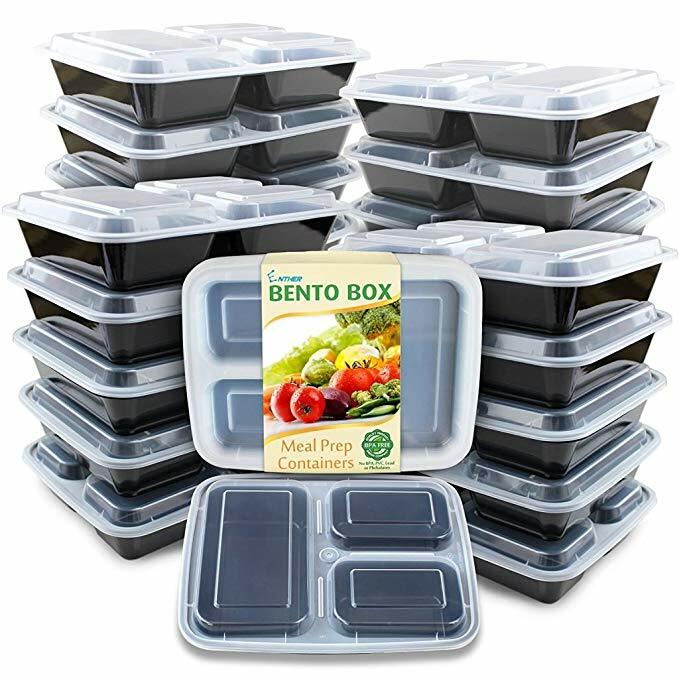 Here we have 20 highly-durable bento boxes with lids that can be placed in microwaves, dishwashers and freezers, without ruining the plastic. Each container comes with a heavy-duty lid with a maximum airtight seal – perfect for workout meal preps, school or work lunches, or when you’re traveling for several hours on the road. With a convenient and modern design, the Enther Meal Prep Containers makes it easier for you to store, heat, freeze, or pack your foods at any given moment. Gone are the days where you have to scramble for different containers that don’t fit in your bag or your fridge, and now with a BPA-free grading, you don’t have to worry about chemical residue in the plastic. With 20 containers, you can pack meals for up to 3 weeks without having to reuse the same ones. Each container comes with 3 compartments and a divider, is odor and stain resistant with 9.5” x 7.5” x1.6 dimensions and a volume weight of 36 oz. 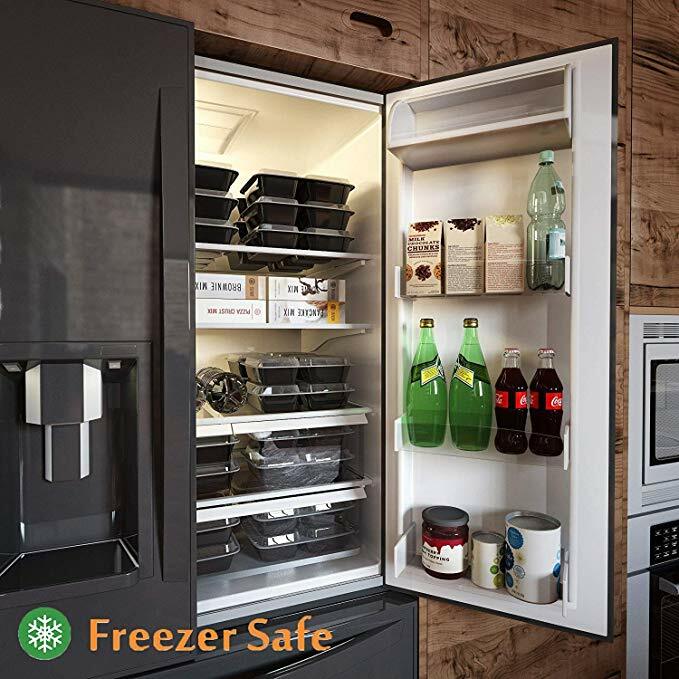 With stain and odor resistance, you can store your foods without it going bad, or you can heat them at work or school, without having to worry about strong aromas filling up the space. Aside from fresh sealing, the Enther Meal Prep Containers can be used for up to 30 times of normal use, 10 times of heavy use, and can also withstand up to 12 lbs. of pressure. When it comes to bento boxes, there’s nothing quite like it, especially at the shocking low price of $20. Get yours today!